Holla at your girl. Sorry for being MIA the last week or so. Promise it won’t happen again. Let’s catch up! Last week on the way to our morning track workout, I stopped to wait on a teammate and was just blown away by the view that Pedestrian Walkway had. 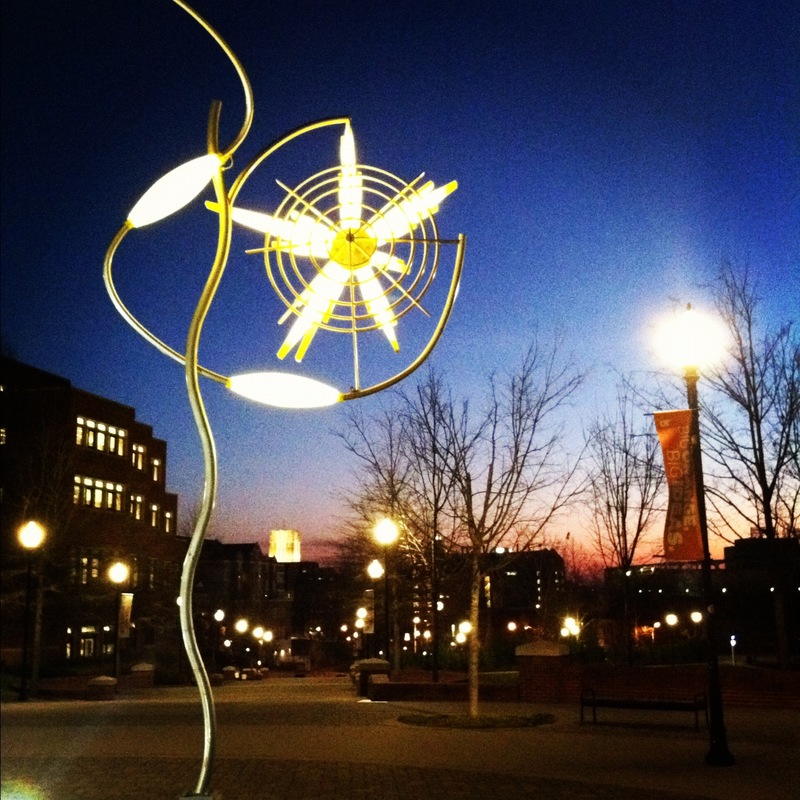 A campus of 27,000 students sure is peaceful at 6am. How lucky I am to have this view on the way to track workouts. 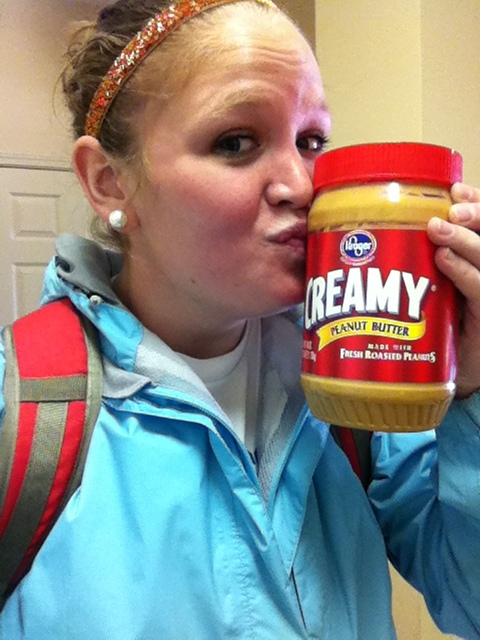 Also last week was National Peanut Butter Day. I’ve been loving peanut butter lately because it keeps me fuller for longer and is a quick on the go item that I can put in my backpack. I’m currently on a pb hiatus though because I have become slightly addicted to it. Too much of a good thing is a bad thing, right? 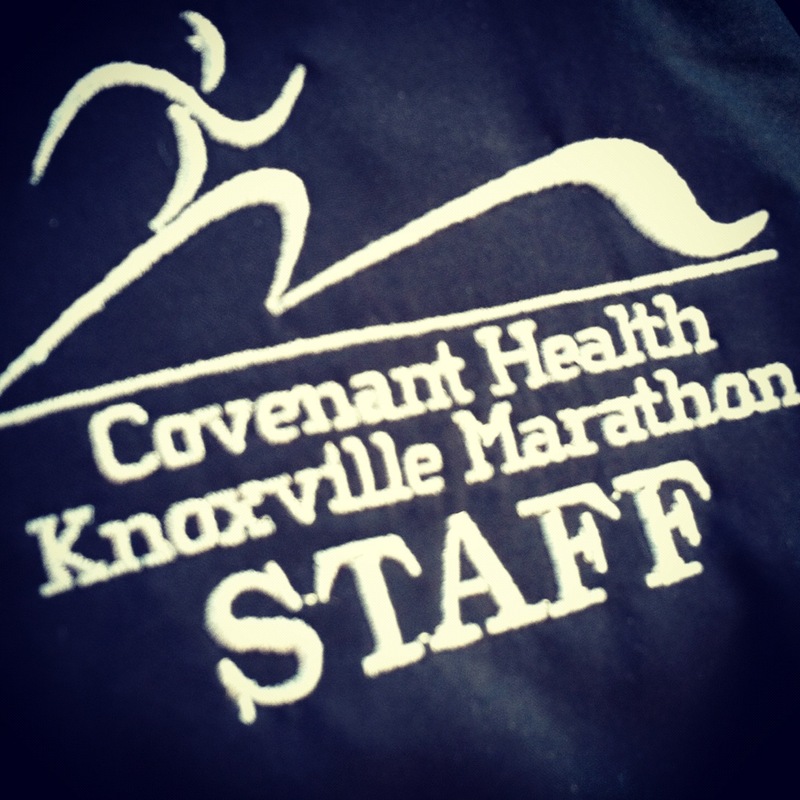 As I’ve mentioned before, I’m on staff with the Knoxville Marathon and we just got new staff jackets this week. They are actually New Balance vests and can be used to run in. I’ve wore mine to class two days in a row. Judge me. Legit logo on our vests. I read over 400 pages of textbooks per week to keep up with my demanding class schedule, but every night before bed, I spend about 10 minutes of pleasure reading from a few of my favorite magazines. 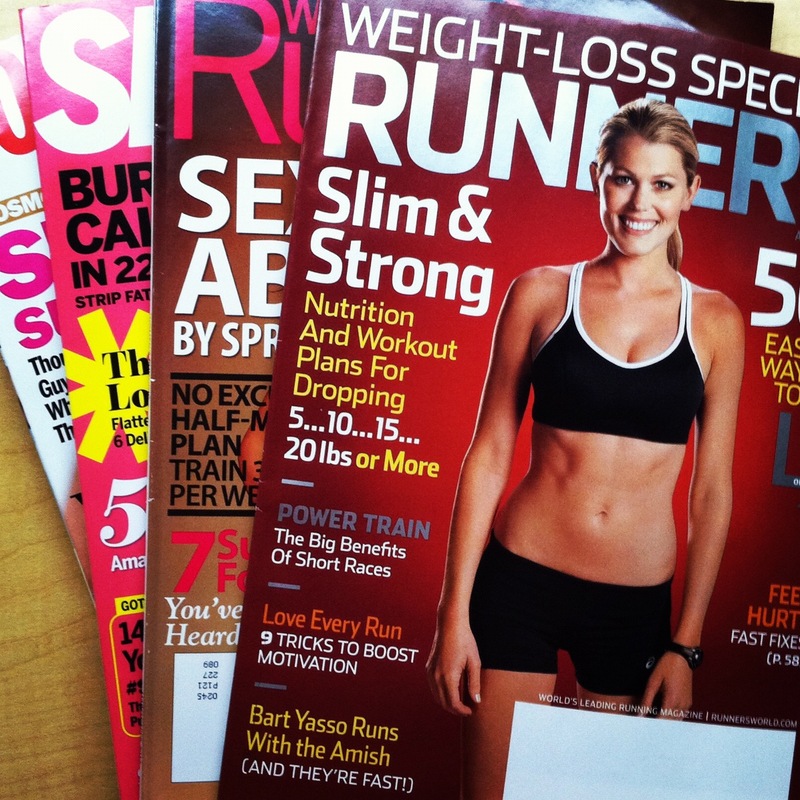 This month’s bedside readings include Runner’s World (obviously), Shape, Self, Women’s Running, and Cosmo. I ventured out of my comfort zone last night and tried a new recipe. Chicken nuggets. Healthy chicken nuggets to be exact. Just a mixture of no sodium italian seasoning, Ms. 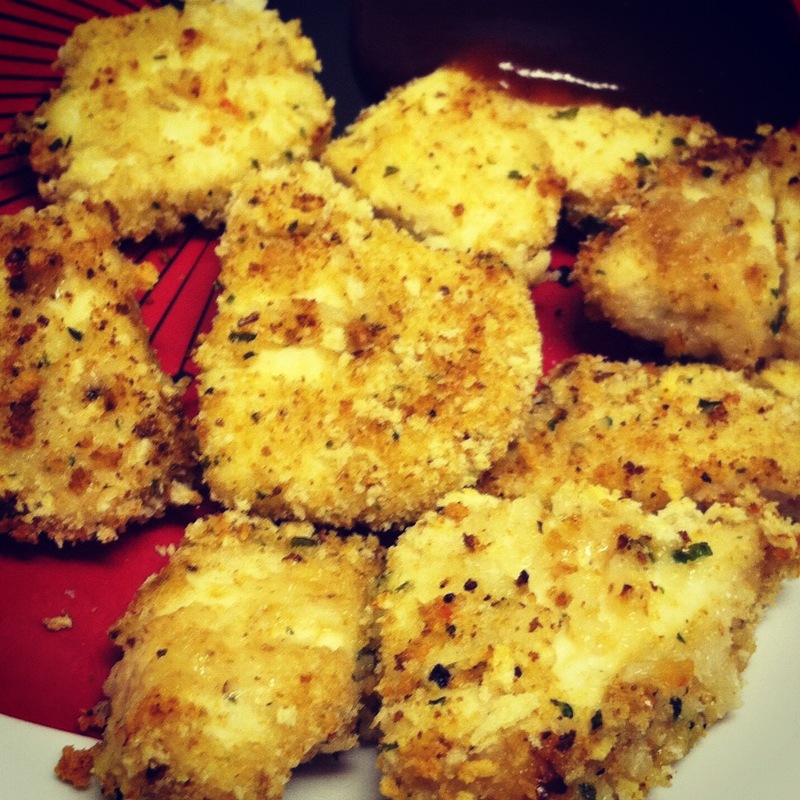 Dash, panko crumbs, and some raw chicken. Threw these puppies in the 425 degree oven for about 16 minutes and then devoured them. Just training myself to become a real housewife of Knoxville. Boost my ego and tell me they look delicious. So that is what’s up with me now tell me what’s up with you! Let’s catch up! I think it’s great that you’re helping staff the Covenant Health Knoxville Marathon! If I’m not delirious, I might recognize you while we are racing depending on where you’re helping! This will be my and husband’s first marathon, but we are really excited. Wish I would have gotten the chance to speak with you at the Whitestone 30k, it was quite the race! Sounds like you did a great job on your leg. Congrats!